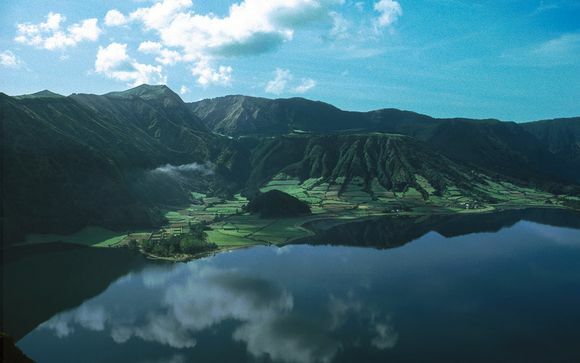 Holidays to Azores up to -70% off To take advantage of these offers, join now for free! The Azores is an archipelago of nine green and lush islands situated in the Atlantic and owned by Portugal. 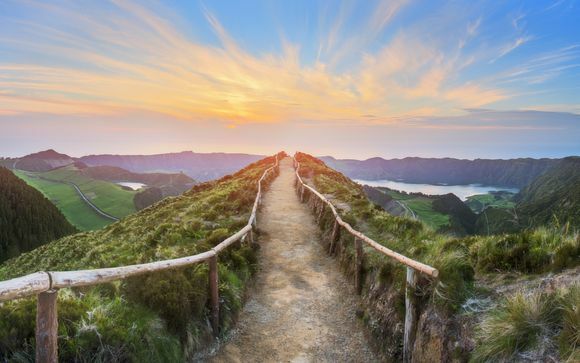 Instead of booking your usual luxury holiday to Spain or France, why not get a flight to the Azores and spend your holiday exploring these wild, beautiful islands? With nine islands to choose from, you’re spoilt for choice and should spend a day or two on a few of the islands instead of staying in the same place. Each island has its own personality and micro-culture and your trip will be far richer from having experienced this. The island of Flores, as the name suggests, is carpeted with wild flowers and at the centre of the island lie seven turquoise lakes formed by the volcano. It’s the perfect way to spend a lazy day relaxing and can easily be reached by boat from Sao Miguel island. The island of Pico is home to Portugal’s highest mountain, also named Pico. Standing at 7,713 feet, Pico can be climbed by people of all abilities, although it is more difficult to reach the peak, so this should only be attempted by experienced climbers or with a guide who you can hire at the local visitor centre. Pico is home to several award-winning vineyards and wine producers, so if the thought of hiking up a mountain fills you with dread, put your feet up with a glass of the Azores finest vintage instead. Like scuba diving. Or windsurfing. Or whale watching. The possibilities are endless in the Azores. 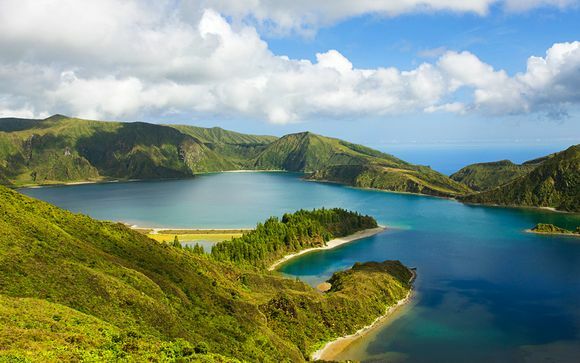 Sao Miguel, the biggest and most populated island offers several world class golf courses, the opportunity to kayak or canoe in the crater of a dead volcano, diving with the sharks and going big game fishing along with many others. We can help you find experiences to suit your interests, no matter how niche and save you money. All you have to do is sign up through our website. 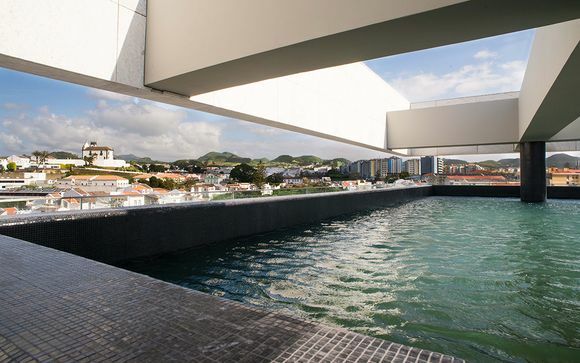 The Azores is the perfect destination for a luxury holiday. 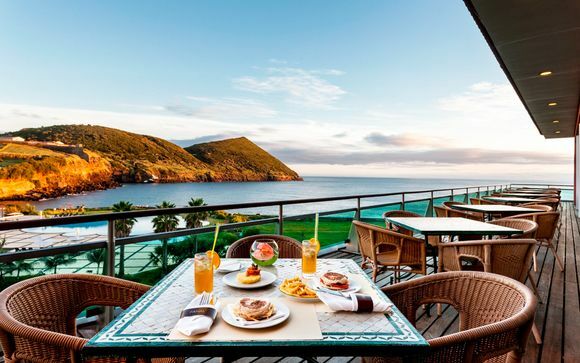 A backdrop of spectacular scenery, lots of activities and islands to choose from and our great deals will make your trip to the Azores the holiday of a lifetime. Sign up today!